Reading Theater Project will be casting its next production, Fight or Flight: New Plays on Fear, directed by George Hatza and Vicki Haller Graff. Auditions will be held on July 10 and July 11, 2017 at Christ Church United (4870 Kutztown Rd, Temple, PA 19560) from 7 to 10pm. Parking is available in the lot behind the church or on the street. RTP will cast an ensemble of six adult actors from a range of ages and any ethnicity to be a part of this exciting new series of eight ten-minute plays written by local and regional playwrights. Rehearsals will begin August 21, 2017 for three evenings a week and Saturdays. Technical rehearsal week is September 23 to September 28, 2017. Performances are the weekends of September 29 to October 1, 2017 and October 6 to October 8, 2017 with a pick up rehearsal on October 5. The plays will include all genres of theater. Please prepare two contrasting, contemporary, monologues that are no longer than two minutes total. In addition, be prepared for movement theater exercises and cold reads. RTP holds their auditions in an ensemble format. Please send digital copies of headshots & resumes to managing director, Christopher David Roché, at [email protected] and bring hard copies to the audition. If you do not have a resume and headshot please send an email detailing your theatre experience and a photo that clearly shows your face. Please send all inquiries via email. 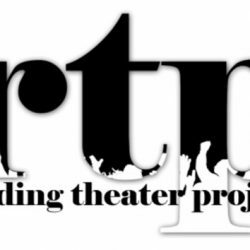 The Reading Theater Project is multigenerational collective of performing artists who create new theater in Reading, PA. Since 2003, RTP has given local professional performing artists an artistic home, with opportunities for collaboration and development. For more information and upcoming productions please visit readingtheaterproject.com or call 484-706-9719.